We are the supplier of collage frame wall clock . We are providing any number of images in wall clock frame . We are noteworthy name in the market offering best and world class collection of Fancy Wall Hanging Clock that are smart and cost effective in rates. 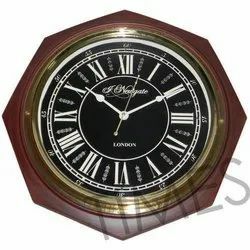 Sublimation Coaster Clock, Size: 16"x16"
Loyalties Rewardz Solutions India Pvt. Ltd.
Loctus Sublimation MDF Frame are made with High Quality MDF and gives bright colors after sublimation process. It transfers the colors in high ratio and gives lively prints. We have Photo Frames of different range and quality. We have exclusive 3D photo frames and also with tumbler and clocks in it. • Great for jewellers, ladies, shopkeepers, etc. Clock can be an art that can be placed in your wall, but it should be as beautiful as this with glitter pad; personalized your moments with dynamic design with 4 photos. 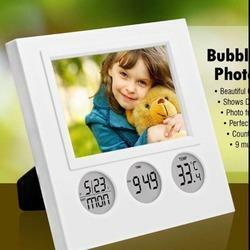 - Size : H 12" x W 16"
Our firm is a trustworthy enterprise, offers excellent quality Clock Photo Frame.